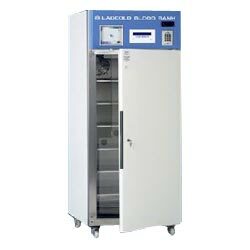 Blood Bank Refrigerators solutions offered are designed to match up with the challenging requirements of modern day blood banks and find application in storing whole blood as well as its derivatives and various other products like culture media, vaccines, primers and others. With the system well recognized for longer service life, these find usage in areas like Hospitals & Research institutes, Blood banks and other similar places. Further, the system features corrosion free metal components as well as advanced poly urethane insulation that helps in providing maximum thermal efficiency and durability standards. Here, our expertise also lies in making available the systems so as to suit various special requirements of customers across India and abroad. For providing superior cooling, these also feature ISI marked CFC free compressor from Kirloskar and Tecumseh that not only meets latest international standards and guidelines but also delivers energy efficient cooling. 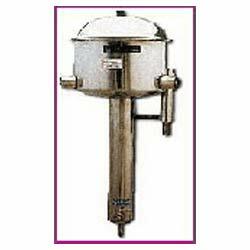 Flask Shaker systems offered find usage in shaking the liquid present in glass flask as per the requirements of different tests in research laboratories. As a concept based top model unit, here the rubber disc comes mounted on heavy platform so as to hold conical flasks of 50 to 100 ml capacity. These flasks are given orbital circular motion by shaker mounted on ball bearing crankshaft with orbit diameter being approximately of 2". Here, the complete assembly is fitted on rental casing that houses motor of Crompton Greaves or similar make coupled by means of Shaker V belt with pitch pulleys. The options offered here include Rotary Flask Shaker that functions on 220 volts, single phase, 50 Hz AC power supply and comes in platform sizes of 450mm*450mm with holding capacity of 16 flasks of 250ml, platform size of 550mm*550mm with holding capacity of 24 flasks of 250ml and platform size of 850mm*650mm with holding capacity of 36 flasks of 250 ml. Other than this, we offer Griffin Flask Shaker that features horizontal spindle which can be made to rotate at any angle and flask of 500 ml capacity that can be easily mounted on spindle at any desired angle. Water Still (Distillation Unit) offered comprises all glass water distillation and is a unique appliance which finds usage for water distillation application. Here, presence of ceramic bobbin heater with Ni-chrome heating wire acts as heating material that helps in providing distillate which has very low conductivity of less than 1 mho. The working capacity options offered here comprise 1.5 l/hr capacity and 4.5 l/hr capacity for continuous run applications. 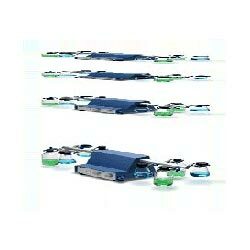 For durable performance, the complete system is made of stainless steel that allows it to function as user friendly device requiring negligible maintenance. Further, the system has unique feature to maintain water level through solid state device where a alarm is sounded when water is level is at its optimum level. Further, the water still unit is scientifically designed so as to run on electricity, thus ensuring complete economical operations.